An artist's impression of Te Paerangi Ataata - Sky Song. One of the 257 stainless steel snowflakes. 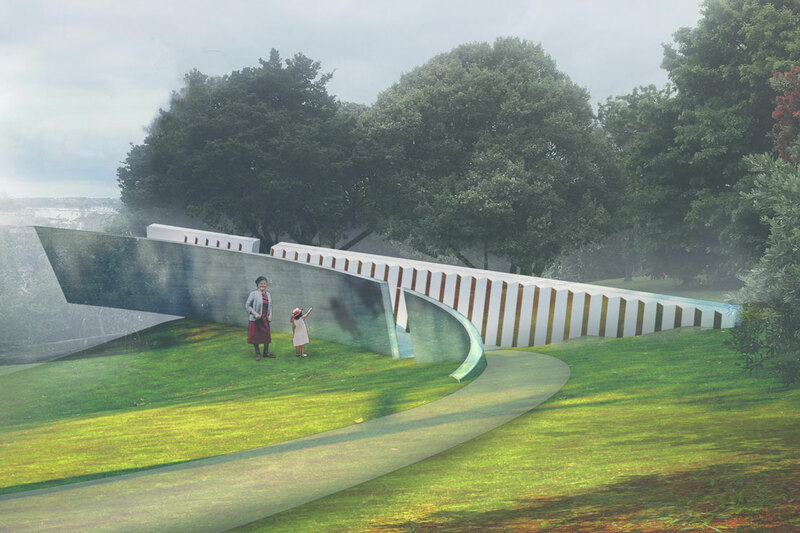 Senior lecturer, designer and artist Jason O’Hara and senior lecturer and musician Warren Maxwell are a part of a team whose design has been selected for the National Erebus Memorial. Te Paerangi Ataata - Sky Song by Wellington firm Studio Pacific Architecture, jointly with Mr O’Hara of the School ofDesign and Mr Maxwell of the School of Music and Creative Media Production, was announced as the winning design in a competitive selection process by Prime Minister Jacinda Ardern on Friday. The design includes a walkway projecting outward to the horizon above Taurarua Judge’s Bay and reflects its setting through its mirror-like finish. The memorial is linked to Antarctica by form and colour and a listening place, where the sounds of Antarctica resonate from the Ice Wall. Mr O’Hara says it’s a great honour to contribute to the making of a special place of remembrance. “The process has been an absolute pleasure – an exemplar of various creative disciplines coming together to collaborate to create something with a multi-layered narrative and experience. From the very beginning we set out to create something that celebrates the spirit of the passengers and crew, rather than the event that took their lives,” he says. Mr O’Hara says the pair’s experiences in Antarctica helped inform the design.